Get Ready for an Amazing Accelerate, Powered by NetVU! Connect with your peers, Vertafore and the industry at Accelerate, powered by NetVU, May 21–23, in Cincinnati. It’s where you’ll find unparalleled education, networking, vendor exhibits and industry recognition. Make plans now! Accelerate, powered by NetVU, is the largest gathering of Vertafore users and industry professionals. This cutting-edge conference features keynote speakers, breakout sessions, networking and hands-on demos to accelerate your firm’s productivity and profitability to higher levels. Education is at the heart of Accelerate. 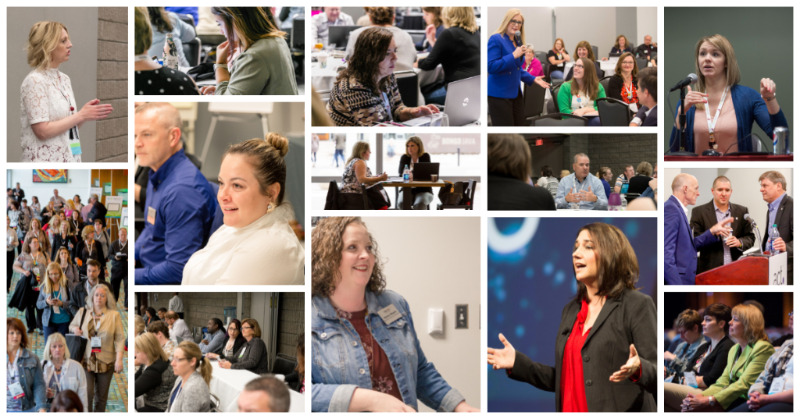 Choose from hundreds of high-impact learning sessions to build a personalized schedule of 10-plus hours of top-notch education. Learn about the latest features and releases, “tips and tricks” to getting the most out of your systems and how to integrate your Vertafore products. You’ll benefit from the hands-on experience of fellow users and Vertafore experts. Education tracks offer breakouts tailored to specific roles and workflows commonly found in today’s firms and levels of experience. IT/Tech, Executive Leadership and Go Grow U! tracks will explore the latest trends in technology and systems security, best practices, leadership insight from industry experts, and the latest resources from NetVU’s partners. Many intermediate and advanced classes meet the requirements you need to complete one of NetVU’s certification programs. Winston Churchill once described downtown Cincinnati as “the most beautiful of the inland cities in the union.” Nestled between seven hills and the Ohio River, Cincinnati has recently undergone a mesmerizing urban renaissance. The Queen City has plenty to offer visitors, including the Banks entertainment district, Reds baseball, the new JACK Casino, the Broadway Commons District and the revitalized historic district, Over-the-Rhine. Our host will be the modern Duke Energy Convention Center, which recently underwent a $135 million expansion and renovation to become the Midwest’s best-in-class convention center. Most of our conference hotels are within walking distance of the center. Vendors and technology providers will showcase innovative products and services, and demonstrate how firms can more fully utilize their business and CRM systems. See product and actually work with enhancements first-hand at the TechHub, featuring demos and one-on-one discussions with Vertafore experts. Join NetVU’s popular Day of Caring. Celebrate at the NetVU Awards Gala. Enjoy keynote speakers, chapter meet-and-greets, receptions and forums. And don’t miss our customer appreciation celebration, to be hosted by Vertafore at Great American Ballpark, home of the Cincinnati Reds! Register today for the early-bird rate of just $674 for NetVU members. Or take advantage of our group rate — available to firms that register four or more individuals at the same time — and save even more! Why a Brand Identity Refresh? “Brand” has acquired some interesting attributes since it became popular commercial terminology in the early 1990s. Most folks believe a brand is something tangible. And that is why they’re often disappointed when a snazzy art project to create a new website or banner ad or logo doesn’t feel the same after a few months. The strongest brands are intangible and unbreakable bonds that are created over time. And it all begins with strategy to strengthen the foundation of the house. Otherwise, it’s just a tactic — a fresh coat of pain that looks nice for a while. Every five to 10 years, an organization’s leaders must take the time to answer important questions about the brand. What are the core values, the mission, the vision? Are they relevant in today’s environment? What is it like to work here? Who are our target customers, and what truly drives them? How do we differ from competitors? What are our provable points of superiority as an organization? What’s on the horizon? Where are we headed as an organization? When those questions are answered by key stakeholders, the brand strategy likely will be updated. And then it comes time to examine what I call “the fun stuff” — name, logo and tagline, and all the creative design and development that follows. Indeed, brand management should feel like hard work for all of leadership, and it’s certainly not an HR or marketing or design project. The best time to take on a brand refresh is when you have a choice to do so. That means being proactive rather than reactive. When you’re reacting to oft-volatile internal or external events, you can get yourself behind the eight ball — a position of weakness. When you’re proactive, you can intentionally manage the process for a positive outcome. A healthy, thriving users group adds tremendous value to the firm providing the technology. A decade ago, a name change was necessitated when AMS became Vertafore. Thus, AMSUG became NetVU, and the combination of “network,” which is what the members are all about, and “VU,” or optimistic “view” of the future, in the acronym is a nice combination. It echoes the core values. I like it. A decade ago, the organization sought a fresh start, and the logo reflected that. Today, it seeks a tighter alignment with Vertafore. While the two organizations are separate and independent, having synergy between them is a win-win for the entire industry. The new logo reflects that. The goal was to create a minimalist rendition of the NetVU logo that highlights dedication to innovation and efficient, streamlined solutions, with collaboration with Vertafore at the core. A decade ago, with the change from AMSUG, the acronym “NetVU” had to be explained. So, the chosen tag was “Network of Vertafore Users.” Today, what makes sense is a more aspirational tag that is aligned with a vision of a continually improving state of affairs for the independent agency channel. “Strength in Members,” which is a play on “strength in numbers,” fits the bill. With membership a half-million people strong, NetVU can accomplish anything when people commit to it. Indeed, this group is about the people — it’s the community of thousands of volunteers who are passionate about efficiency, profitability, and good customer experience. With the work that preceded this brand identity refresh, it’s obvious that NetVU’s leaders are proud of the organization. I hope you, too, share that pride. Interested in learning more about the NetVU brand refresh? Check out the infographic video or PDF version. Today, agency-insurer connectivity is more important than ever to enable your staff to be more proactive with their time. By connecting agencies directly with their insurer partners, IVANS is automating the exchange of policy-related information. Commercial Lines download, from insurer systems to an agency’s management system makes sure that agents have access to accurate policy details right away. In the past five years, the use of Commercial Lines download has increased by 35%. This figure added to the total number of transactions (e.g. exchanges of data) is up 47% to nearly 12 million transactions in 2017. Your peers are demanding it from carriers, with 74% citing that they want Commercial Lines download from all their carriers. However, in the past agents have not been as eager to embrace Commercial Lines download as they are now. Agents didn’t trust it and thought it was “broken.” And here’s where we are going to bust myths. We’ve outlined a few commonly held beliefs about Commercial Lines download and provided the facts that prove them to be false. Myth 1: Commercial Lines download overwrites data in my management system. Myth Busted: Carriers and Agents, when exploring the possibility of using Commercial Lines download is, “I’ve heard there’s an overwrite issue.” The idea that your data could be overwritten is a total myth. Agency management systems today have applications that create an efficient merge of data – better than ever before. Advanced logic is also available in the agency management system to analyze data and determine how to protect it, safeguarding against data overwriting. Commercial Lines download actually increases data accuracy and minimizes errors, since information is sent directly to your agency management system. Myth 2: Commercial Lines download creates more work for me. Myth Busted: Many agents believe that Commercial Lines download doesn’t fill in the proper fields, hence requiring them to go in and manually correct the downloaded information. If this is your perception or what you’re currently experiencing, in actuality the policy information is being sent from the carrier system to your management system via download and placed in the proper fields. Most often, this “overwritten” data occurs when agents input information into the incorrect field (i.e. vehicle model = RED) and then it’s replaced by the download. Thus, there is a perception that data is being overwritten, when in fact the policy info is being downloaded into the correct fields. Insurers have produced Commercial Lines download guides to help one better understand download options and capabilities. These guides also reference download fields, enabling one to know in advance what to expect when the download populates. Once you understand this process, you’ll recognize the time savings that occurs. Myth 3: Commercial Lines download disrupts my current workflow. Myth Busted: Your current workflow likely involves a lot of manual entry, which diminishes productivity and increases risk for errors. Adopting a new process comes with a learning curve, but with this new workflow, you will experience greater productivity and always have up-to-date policy information. Commercial Lines download saves almost 1 hour per employee per day, according to ACT/Augie. This type of time savings makes everyone more efficient and time can be focused on valuable activities. Many commonly held beliefs about Commercial Lines download are just not true. As a growing market, carriers are continuously adding Commercial Lines available for download. This creates immense time savings opportunities enabling you to focus on revenue driving activities. Eliminating time spent manually managing administrative tasks, your agency can service customers and sell insurance. Still not convinced? Watch the on-demand webinar, Increase Policy Writing Efficiency with Commercial Lines Download, to learn more about the added benefits of Commercial Lines Download. Want to get the most out of your Vertafore solutions? Want to connect with NetVU colleagues who share challenges and opportunities like your own? Ever have a desire to make suggestions or help prioritize product enhancements and updates? Then watch “Member Tip Monday” on the NetVU Facebook page. Melissa Bond, our member relations manager, hosts the weekly event to present at least one actionable and impactful tip to help you get the most out of your NetVU membership. You can even post questions and observations in the comments. How to connect with workgroups to help prioritize Vertafore system enhancements. How to find a chapter. How to network with NetVU peers. Each live Facebook video is only two or three minutes, but jump-starts your week in a big way. No need to sign up or download special software. Just follow us on Facebook. To become a follower, go to Facebook and click “Like” right below our profile picture. Next, to ensure you’re receiving notifications from us, click the down arrow on the “Following” button and select “On” under Notifications. That will help you know when we go live, as well as see all of the content we publish on Facebook. Working smarter, together — that’s strength in members! I'm interested in the process others use for confirming and checking policy change requests. How do you incentivize account managers who bring in business to the agency? We'd like to hear from you about your experience with two payment processing companies - EPayPolicy and Simply Easier Payments.